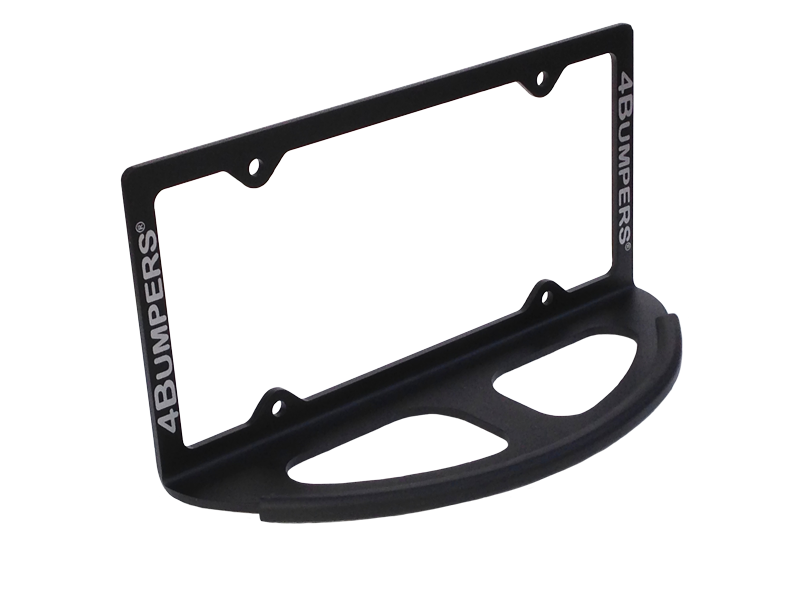 Solid steel license plate frame with a 4-inch rounded protrusion and brace makes the 4Bumpers Prime ideal parking bumper protection where the license plate attachment area is either flush or recessed in your bumper. 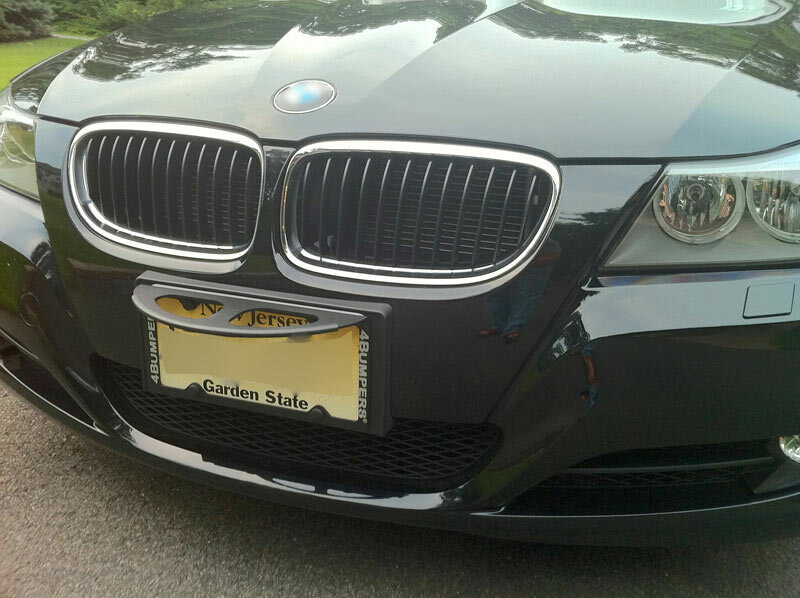 To be effective protection, your license plate attachment area must be directly on your bumper and not above the bumper (like on the trunk or hatch) or underneath the bumper. 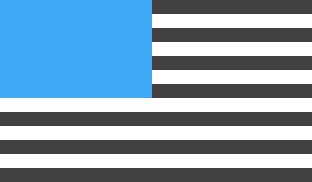 Simple in Design, Sleek in Appearance. 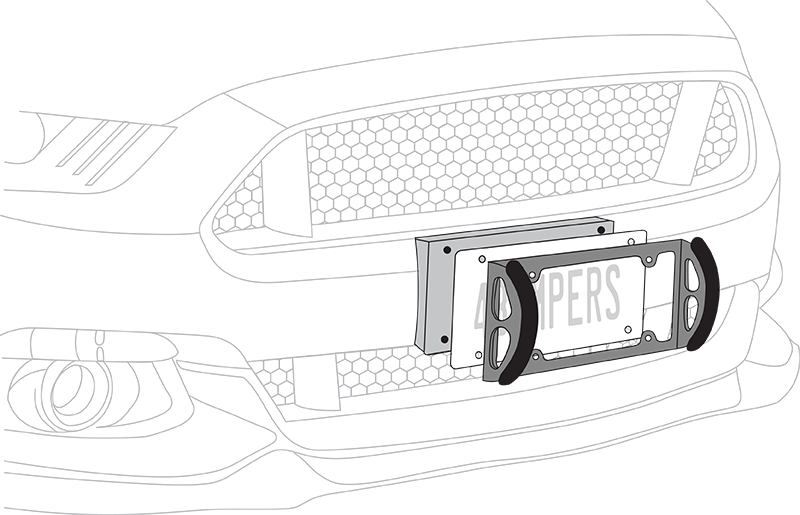 ©2015 4BUMPERS LLC | Terms and Conditions | Made in the U.S.A.
4Bumpers products have a quick and easy one-time installation. 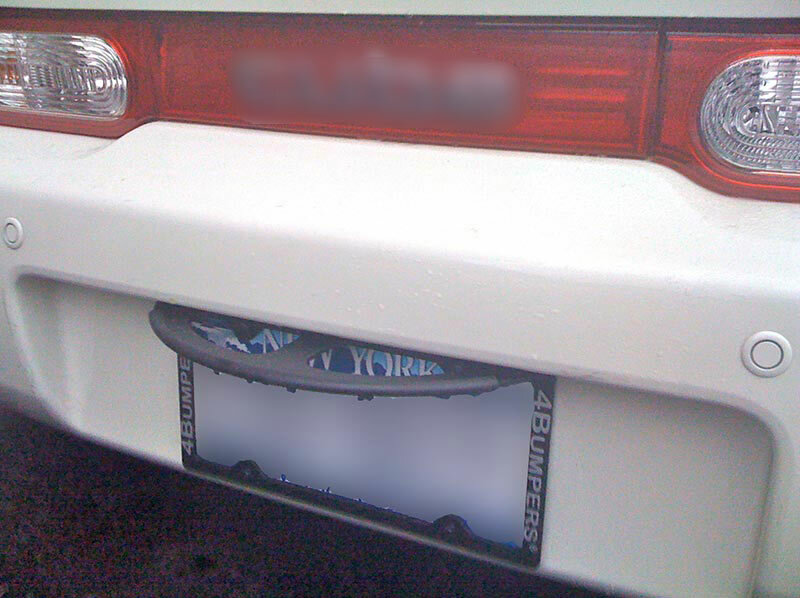 Use of a flat license plate mounting bracket is recommended when installing 4Bumpers. 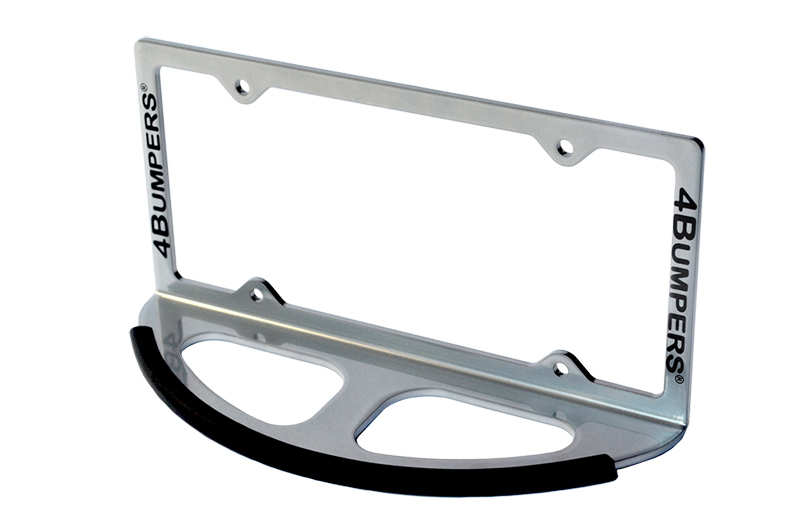 4Bumpers will perform only as well as it is securely attached to your bumper-so please make sure your 4Bumpers and mounting bracket, if you have one, are all firmly secured and attached to your bumper. 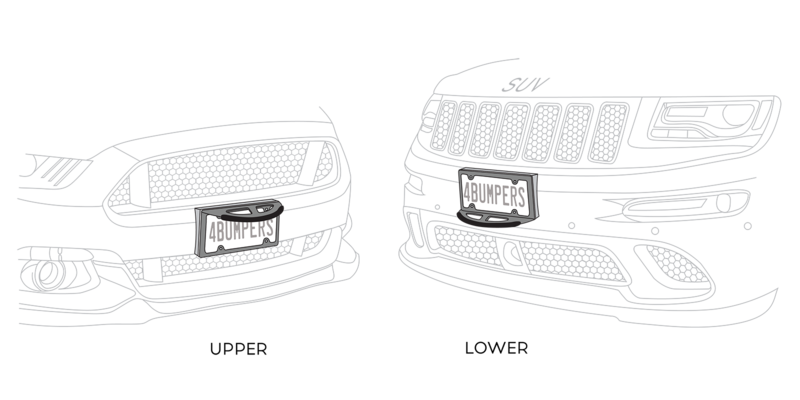 4Bumpers Duo installs on your bumper in one position. 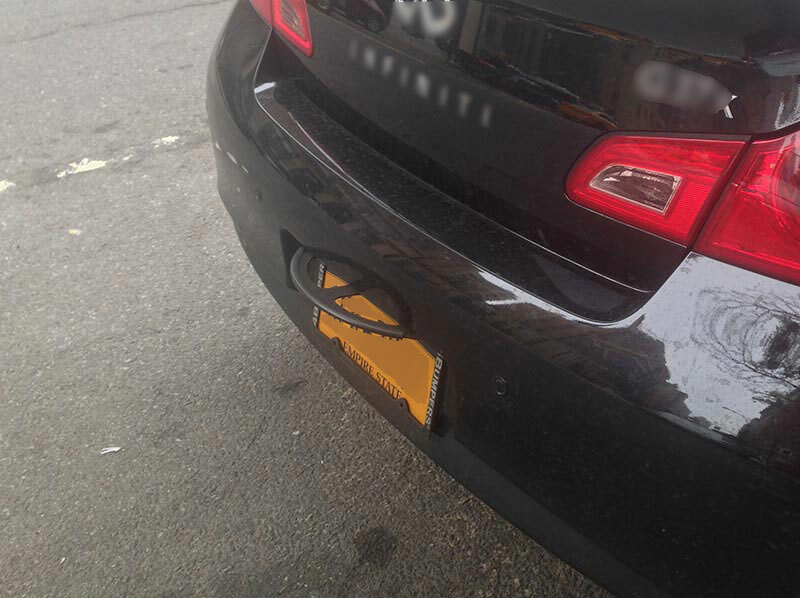 UNSCREW YOUR LICENSE PLATE AND DISCARD ANY EXISTING LICENSE PLATE FRAME. 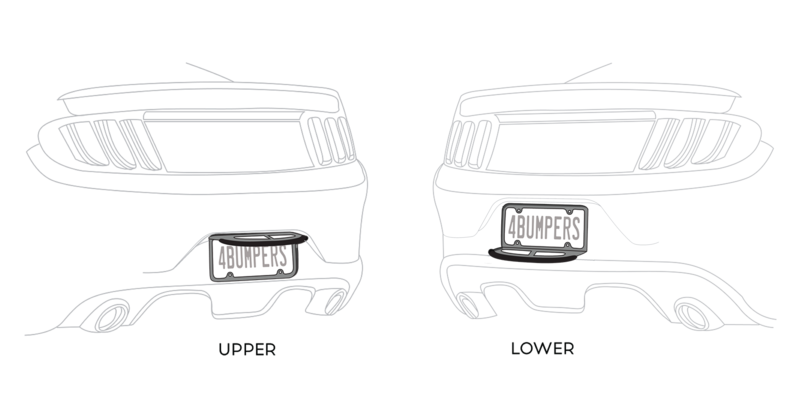 POSITION 4BUMPERS DUO IN FRONT OF THE LICENSE PLATE AND YOUR LICENSE PLATE BRACKET. 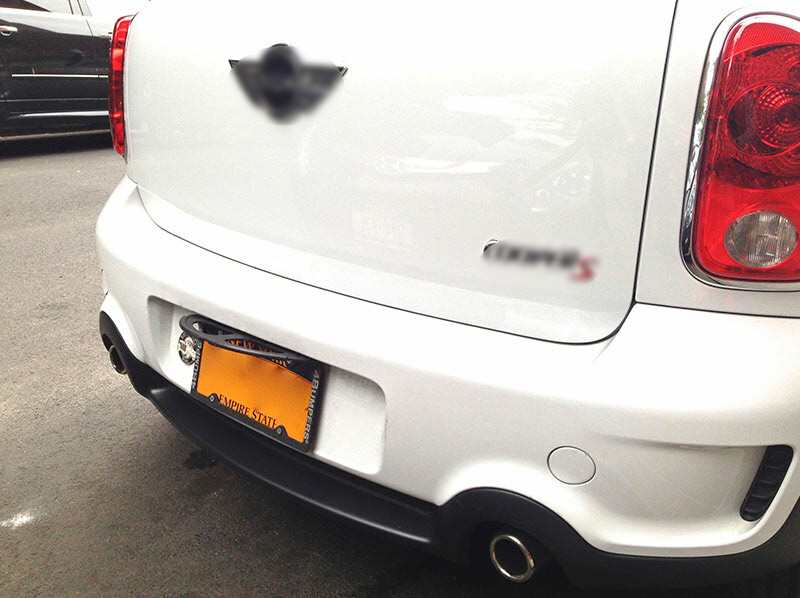 ALIGN THE SCREW HOLES AND THEN SCREW 4BUMPERS DUO AND LICENSE PLATE SECURELY INTO YOUR LICENSE PLATE BRACKET. 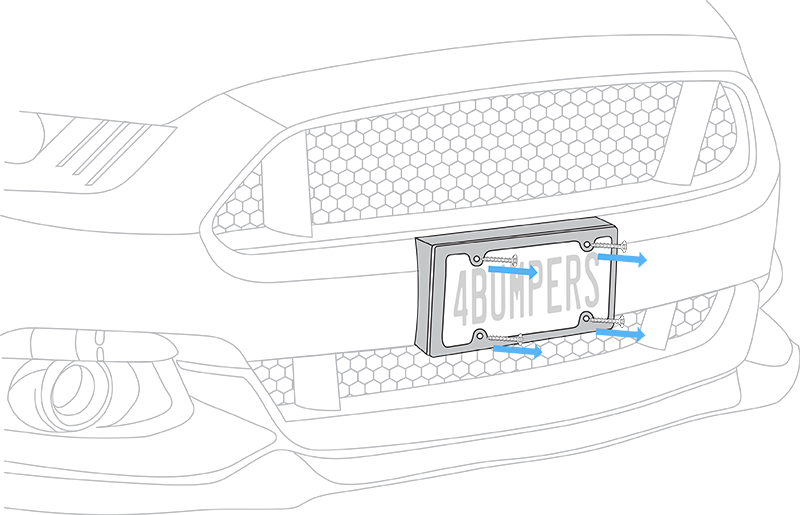 4Bumpers Prime may be rotated and installed in either of two positions, depending upon the height of your vehicle and license plate attachment area in the bumper (see below). 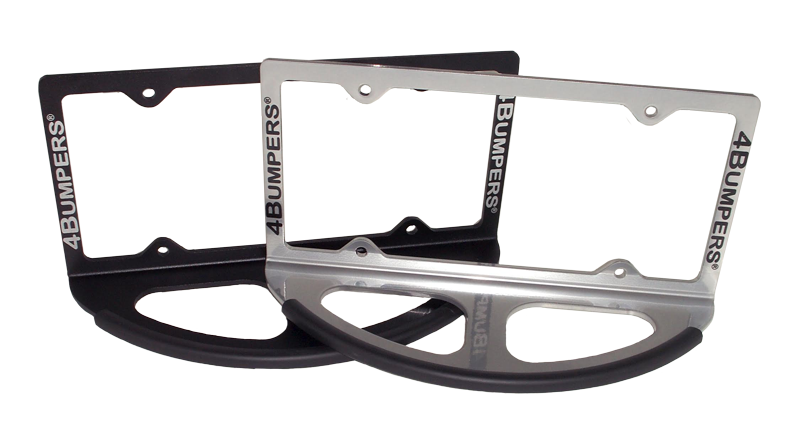 On front bumpers with license plate attachment areas relatively low to the ground, we suggest you install 4Bumpers Prime with the rounded guard in the “upper” position. 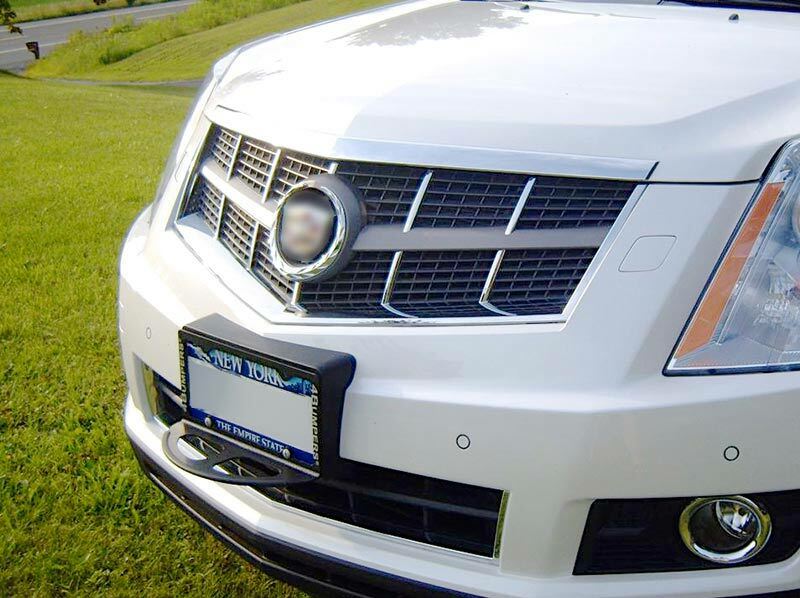 For SUVs, Minivans and other cars with license plate attachment areas in higher positions, we suggest you install 4Bumpers Prime with the rounded guard in the “lower” position. 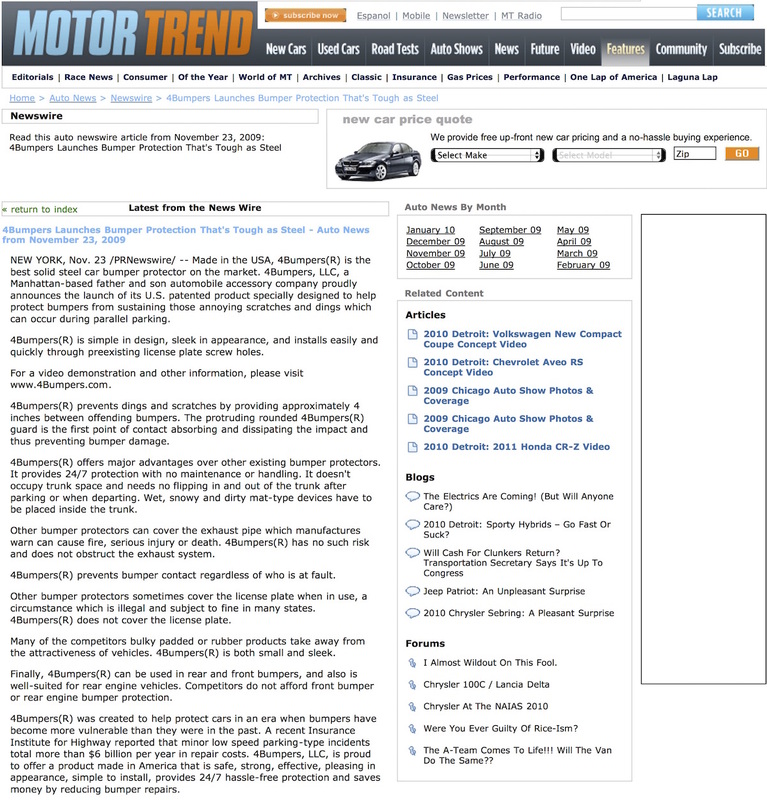 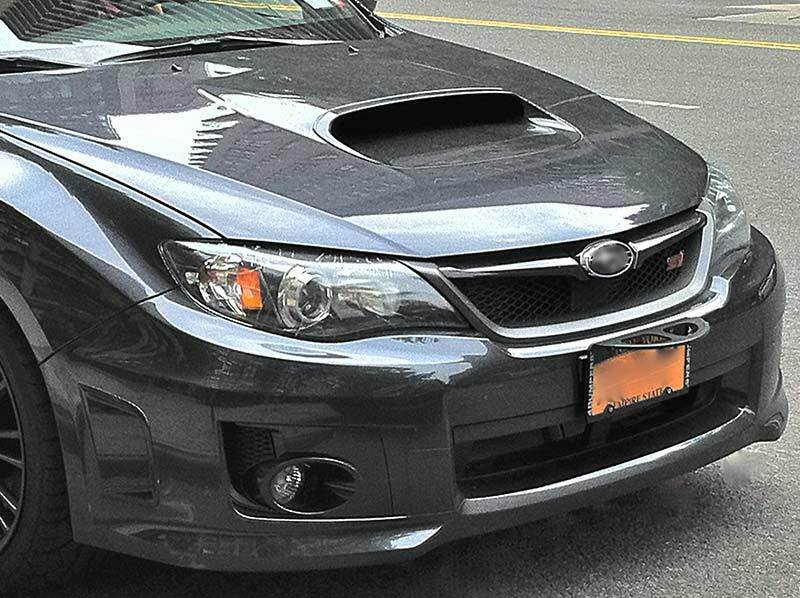 There is greater variation in the height of license plate attachment areas on rear bumpers. 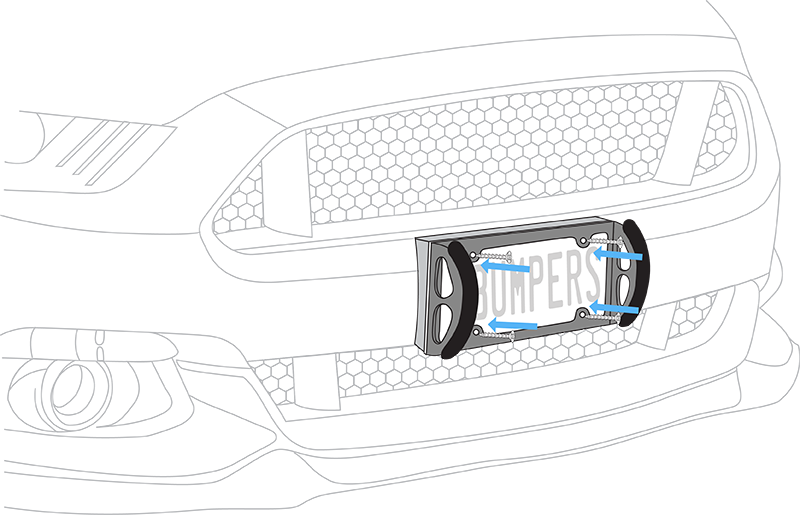 In other instances we suggest you install 4Bumpers Prime with the guard in the “lower” position.